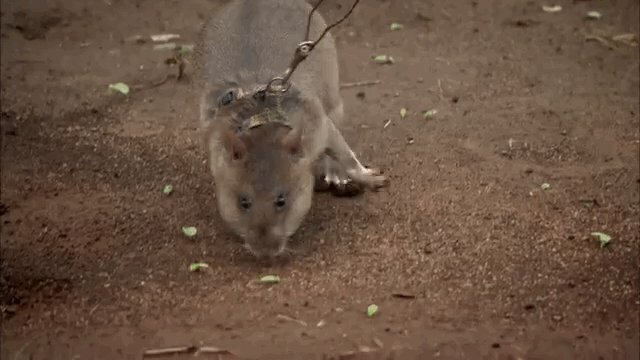 African pouch rats are heroic animals. Not only can they be trained to detect tuberculosis in humans, they can also detect land mines -- and, thankfully, are too small to ever trigger the mine. The rat receives banana treats for discovering the mine, while her owners receive safety.